Providing you the best range of sublimation paper, sublimation transfer equipments, sublimation prints paper, special coated matte poster paper, sublimation ink and 6-in-1-mug sublimation heat transfer machine with effective & timely delivery. 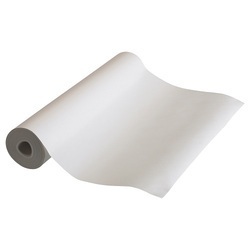 Quick Dry sublimation paper with mean dry time of mere 19 seconds. Avaialable in rolls in all standard size from 8" to 72". Also available in A3 / A4 sizes. 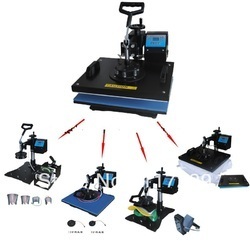 Suitable for all types of sublimation transfers such as mugs, tshirts, mobile covers, etc. Sublimation Printing is a relatively new but fast growing system in Textile, Gift Industry and educational Institutions. 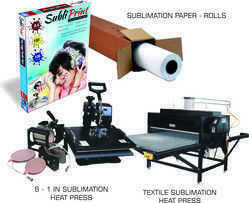 Sublimation is the process by which an image printed on paper is transferred to another surface or substrate. If you used low cost photocopy paper, too much of the ink would absorb into the paper itself and not enough would be "sublimated" into the material. Sublimation paper has a coating on the surface which effectively means the ink sits on the paper without ever throughly drying. 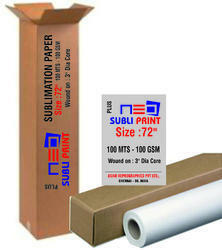 Asian Sublimation Paper will work with all sublimation material providing the best color release. The Economy grade is cheaper and can be used on a wide range of materials. 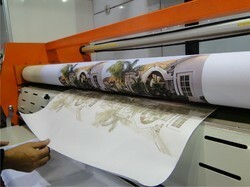 Sublimation is the process by which an image printed on paper is transferred to another surface or substrate. Unlike conventional inks, sublimation inks are converted directly from a solid a gas undera heat and pressure, causing them to bond with the fibers of synthetic materials such as polyester. 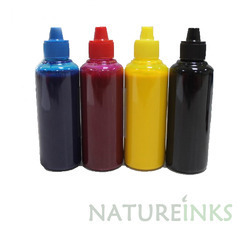 The molecules of ink revert to a solid state upon cooling, permanently staining the surface of the polyester or alternative substrate.